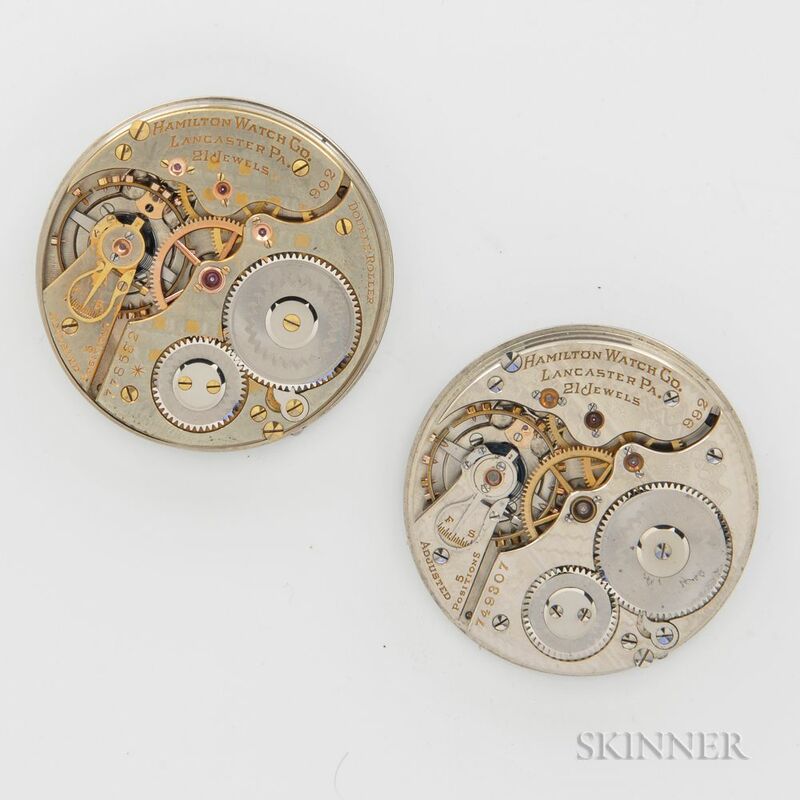 Two Hamilton "992" Watch Movements and Dials, both with damascened plates and marked "Hamilton Watch Co. Lancaster PA. 21 Jewels/adjusted 5 positions/992," serial no. 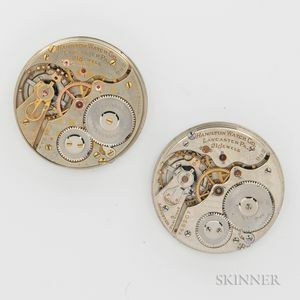 778532 reads "double Roller," with double sunk arabic numeral dial; the other serial no. 749307, with sunk seconds dial.